Luc Bondy's FALSE CONFESSIONS brings Marivaux's play into 21st century Paris. 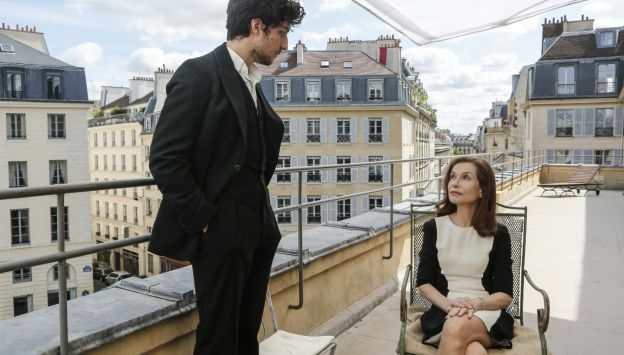 Oscar nominee Isabelle Huppert (ELLE) commands the screen as wealthy widow Araminte, who hires the smitten Dorante (Louis Garrel) as her accountant. Secrets and lies accumulate as Dorante and his accomplice manipulate not only the good-hearted Araminte, but also her friend and confidante, Marton (Manon Combes). Filmed in part on-site at the Théâtre de l'Odéon, the film blurs the distinction between stage and screen, offering a new turn on this classic take on the psychology of love.